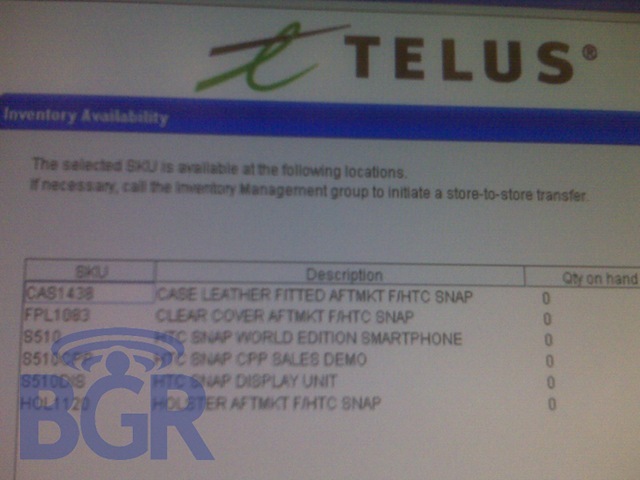 Good news for Canadian readers â€“ not only is the HTC Touch Pro 2 and HTC Snap going to show up soon Telus, but the CDMA EVDO devices will also be so-called World Edition devices ie. 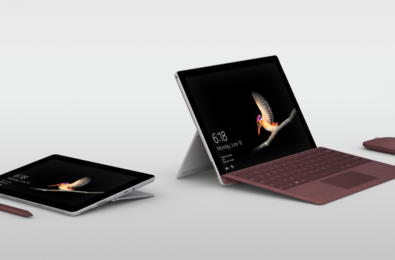 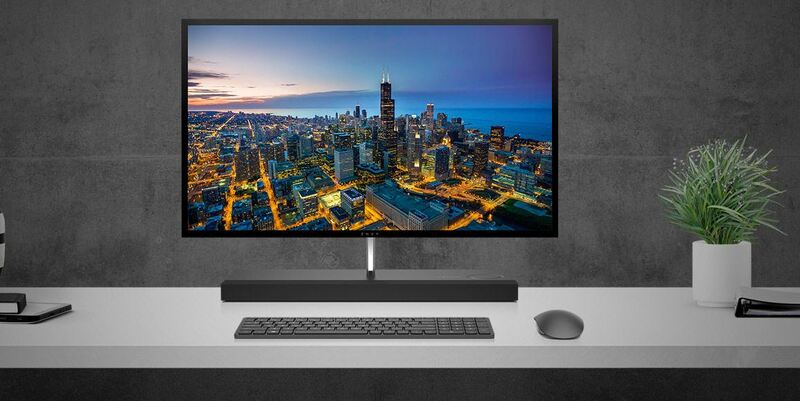 they will contain GSM circuitry allowing the devices to be used outside the confines of North America on GSM networks in Europe, East and Africa. 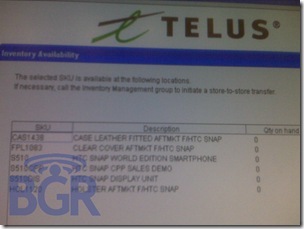 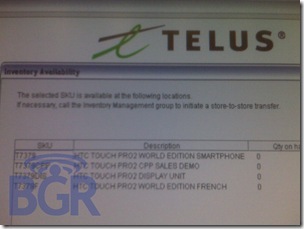 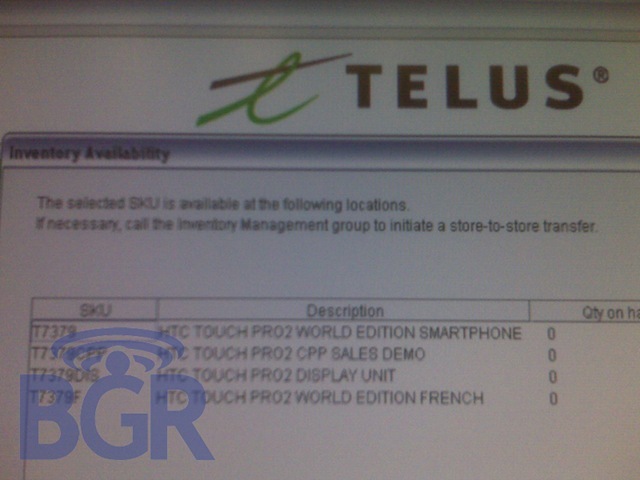 The Boy Genius Report is the source of this rumour, having been given photos of Telusâ€™s internal inventory system. 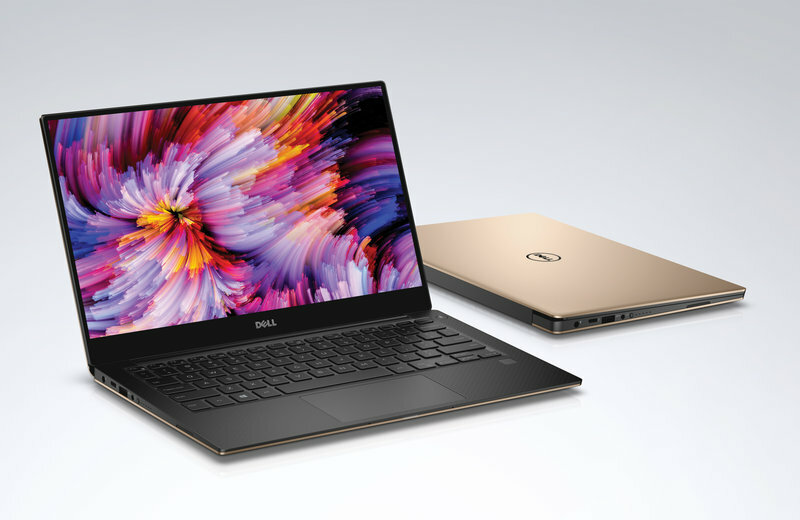 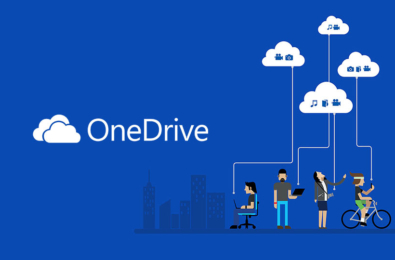 It appears such World Edition devices are becoming increasingly common on CDMA networks as the technology faces inevitable winding down in the near future. 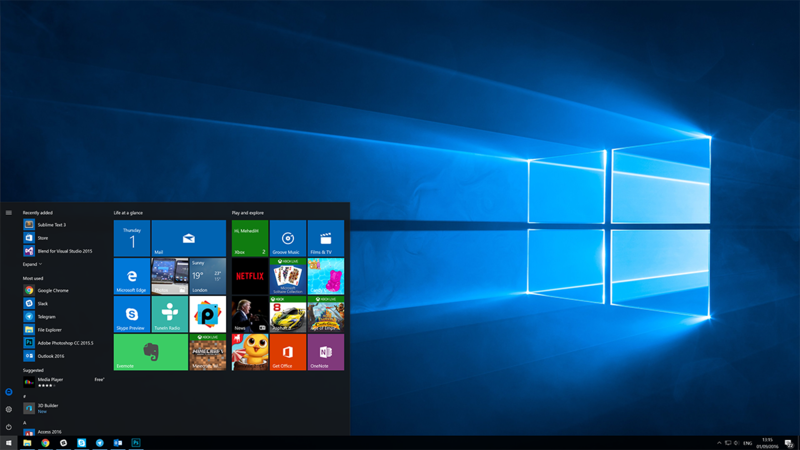 Read more at the BGR here.